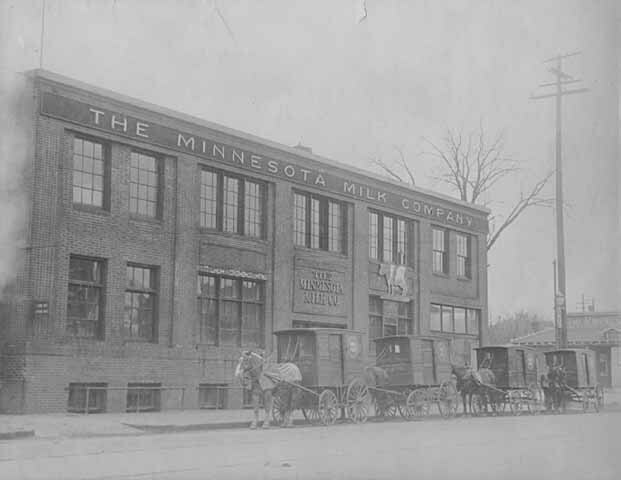 The Old Home building was built in 1912 for the Minnesota Milk Company. Its original, more utilitarian design gave way in 1932 to a sleek Art Deco exterior, with a black stone base and many distinctive details. 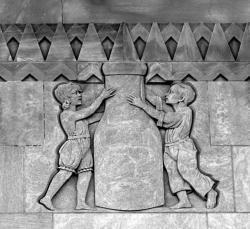 One prominent feature was a bas relief of a young girl and boy standing next to a milk bottle. After Old Home closed its facility, the bas relief was removed and taken to company headquarters. 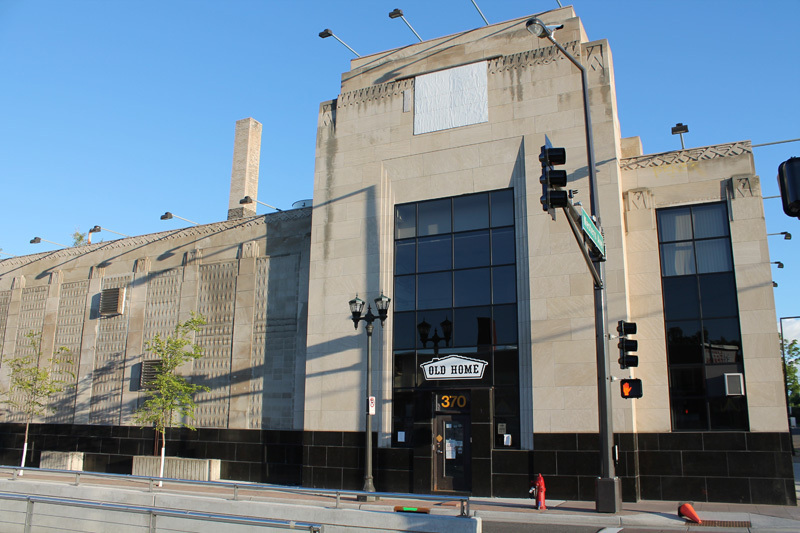 Currently the former Old Home building is the focus of a redevelopment effort to provide townhouse and apartment units, and retail space. The creamery was one of a handful that operated in and near Frogtown over the years. 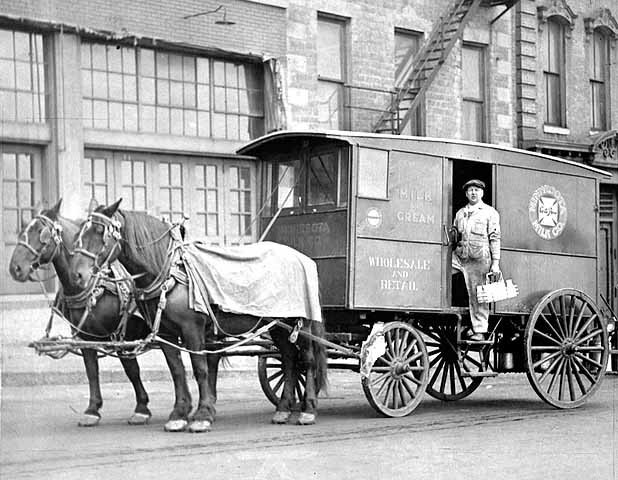 Creameries not only processed milk and produced dairy products, some delivered milk door-to-door. 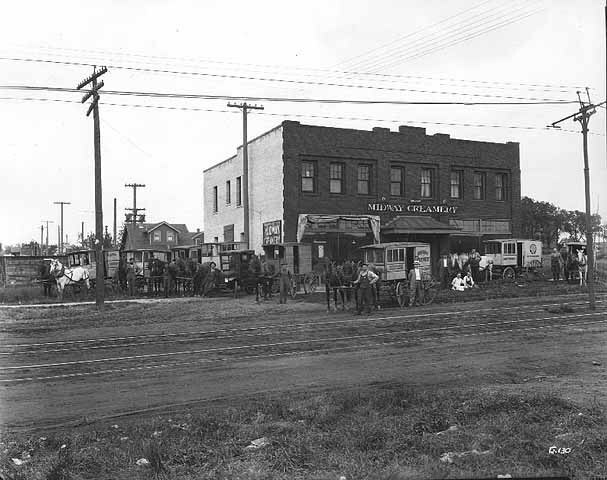 Other creameries that served the neighborhood include: Sanitary Foods at 1033 Thomas Av. ; Midway Creamery at 1563 Como Av. 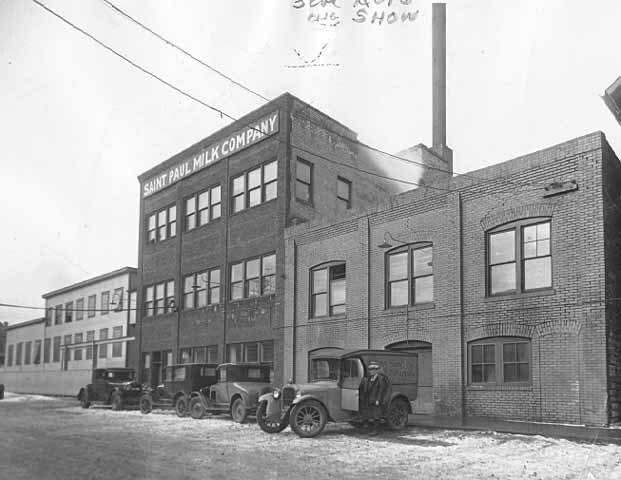 ; Peoples Milk Company at 511 Rice Street; and Saint Paul Milk Company at 203 Franklin Street. 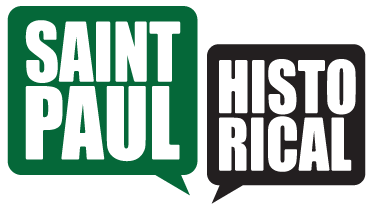 Jane McClure, “Old Home Dairy,” Saint Paul Historical, accessed April 19, 2019, https://saintpaulhistorical.com/items/show/176.